Here’s a nice side trip that you can take any time during your vacation. However, since most flights leave the island late in the day, and you have to check out of most hotels and resorts in the morning, this is a great way to pass the few hours in between. Leaving the Kaanapali Beach area, take a left onto Highway 30 West. 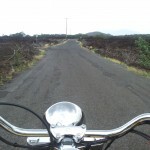 Past the resort area of Kapalua is Lower Honoapiilani Rd. There is a very nice beach here, DT Fleming Beach Park. 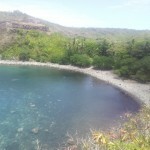 The public beach is shared with the adjoining Ritz Carlton Hotel. You will find anyone from a prince to a pauper on this beach. It is a great place for a picnic with many tables. Back on the highway, the next several miles will offer many turnout locations for pictures, hiking, snorkeling activities. 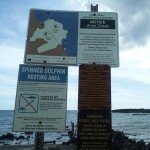 At mile marker 38 there is the world famous Nakalele Blowhole. Mile marker 40 is another stop where the Ohai Trail is located. Down the road you will see a sign Banana Bread 3 miles ahead. At this point the road becomes just a single lane. On this 10 mile stretch of single lane, you will have to juggle with the cars from the other way, sometimes having to back up or wait in order to pass. (Some people choose to turn around and go back at this point.) 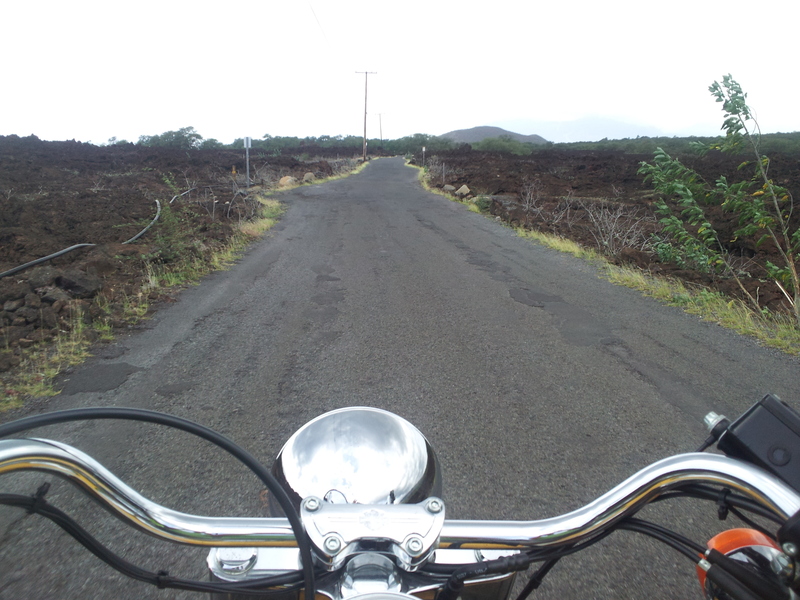 After 2 miles on this narrow stretch you will reach Old Kahakuloa Village. There are a few road side stands here — Julia’s advertises here the banana bread as best on the planet. Following the road up and out of the village you will now go past ranch land. Soon, State highway 340 will begin the road will widen and take you into Kahului. This trip can be done in a few hours with minimum stops, or you can spend the whole day on this route. Just a couple miles west past the County Court House in the the town of Kahului lies the Iao Valley State Park in West Maui. A genuine rain forest, Iao Valley receives nearly 400 inches of rain per year, and is one of the state’s wettest locations. Iao Needle is an iconic landmark that towers over 2,000 feet above sea level. Walking trails are abundant within the park. The Kepaniwai Park’s Heritage Gardens are a popular destination within the park, highlighting the multicultural (Chinese, Japanese, Korean, Filipino, American, Portuguese, Hawaiian) influences on the state’s history. Around Christmas, the road to the valley is dotted with poinsettias, making for a very pretty little drive, not far from most Maui locations. 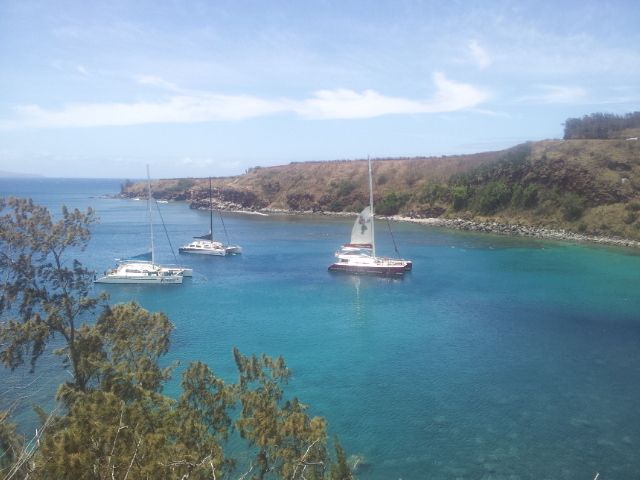 While on Maui, take a little time for a snorkel trip. 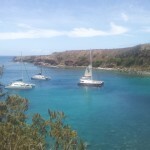 While opportunities are abundant (Molokini seems to get most of the attention), one of our favorite locations is Honolua Bay, on the NW shore of Maui. 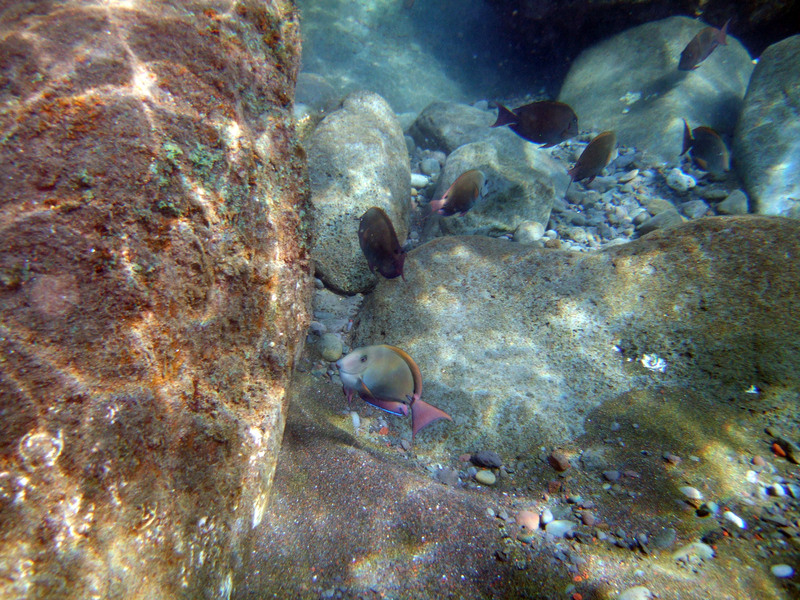 Better protected from the winds and waves than most beaches, it’s the perfect setting for a calm snorkel among the abundant sealife and catch a glimpse of a humuhumunukunukuapua’a (the official state fish of Hawaii, and more fun to say than its common name, the reef triggerfish)! Turtle sightings are common in the late afternoon, too! 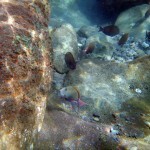 You can sign up with any of the many snorkeling cruises. 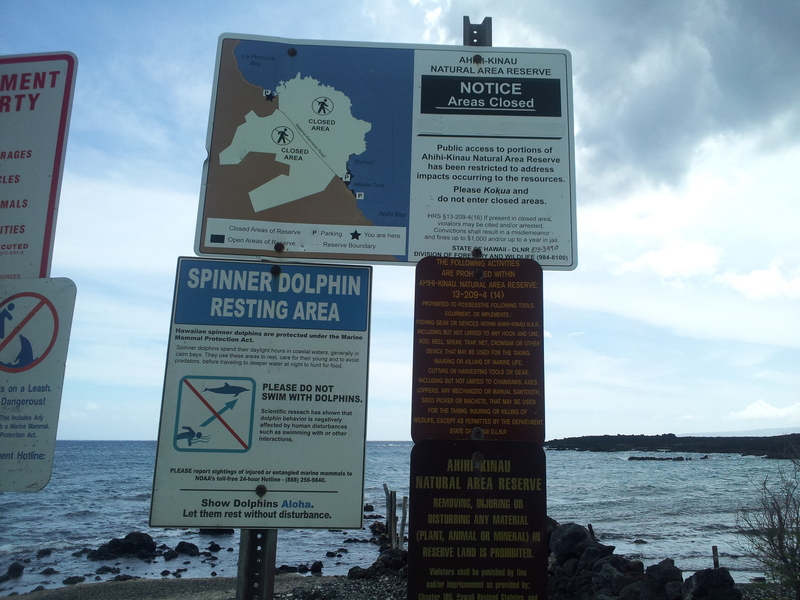 But if you’re staying in West Maui, you can just take the scenic drive north of Kapalua on Highway 30. There is a parking area between mile marker 32 & 33 (see map below) where you can take a short walk through the jungle (don’t be surprised to see — and hear — roaming wild chickens) and enter the water from the shoreline. This isn’t your typical sandy Maui beach. The shoreline is rocky, so bring appropriate footwear. No taking of marine life, coral, or rock. Pack out what you pack in! 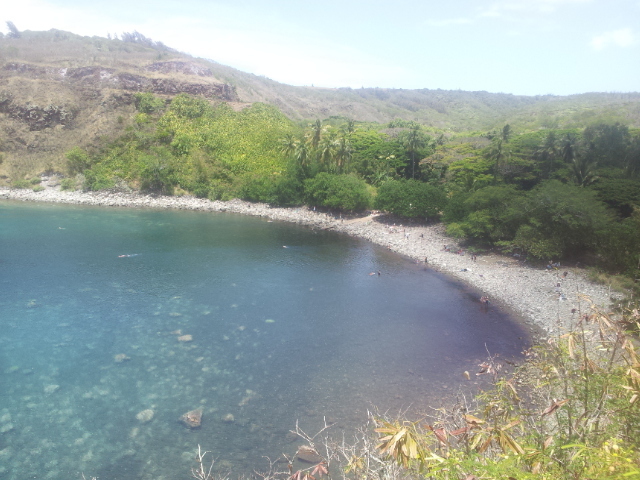 There are no garbage cans, so please keep Honolua Bay beautiful! 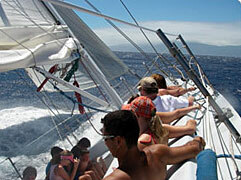 It’s a once-in-a-lifetime experience and adventure you’ll share with friends long after you leave the islands. Live the adventure, capture the romance and feel the thrill of sailing Maui’s blue water on an actual America’s Cup Contender — the AMERICA II! This was a fun little boat ride I took this afternoon. It lasts for a couple hours. Plan on holding on tight and getting very wet! They’re conveniently located at Lahaina Harbor. 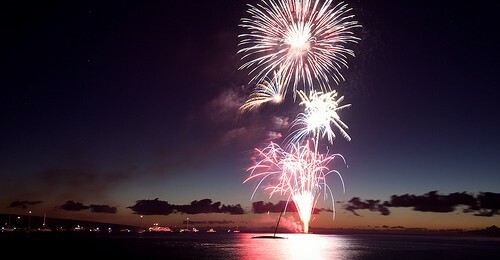 Check them out and book online at http://www.sailingonmaui.com/.